In honor of Justin Timberlake's return to the Super Bowl halftime show. 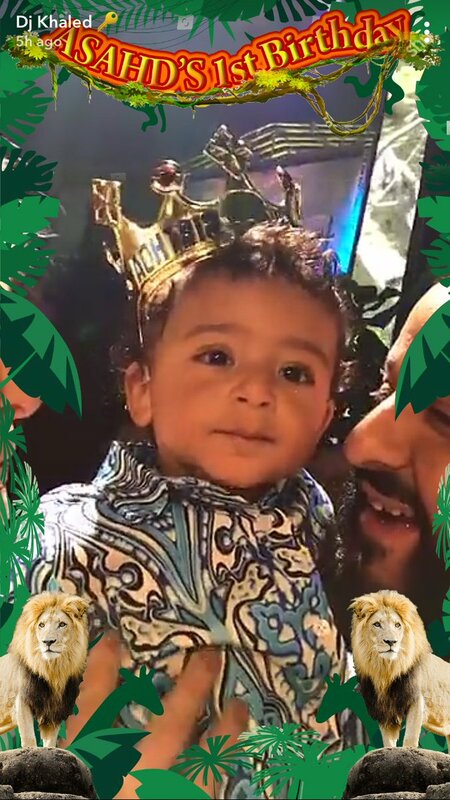 DJ Khaled threw his son, Asahd, a birthday bash that grown adults would've died to have (*raises hand*). The We the Best DJ and his son wore matching printed shirts and aqua-colored slacks to the bash. Asahd cutting a rug with his mama, Nicole Tuck. Ashad's jungle-themed birthday party was held at club LIV at the Fountaine Bleu hotel in Miami. His party was hosted by Diddy and his daddy, Khaled, and among the attendees were LIV owner David Grutman and Jonathan Cheban. Even though this party was at a club, it did take place during the day, probably to keep the guest of honor's bedtime in mind. With all the extravagance, the Khaled family also made time to give back. They partnered with UNICEF to ask fans to donate to the fund to help children around the world get blankets, toys and books in honor of Asahd's birthday. Some of Asahd's gifts were donated to UNICEF. Check the pictures and video and get envious at this cute little guy's party. In honor of National Boss Day, what other way to celebrate than with the Boss himself! So much is going on in our world right now and we just need to heal and come back to love. Usually I'm not this into my feelings on the blog, but my day job is in news and covering the tragedy in Las Vegas last week and the devastating fires in the Bay Area today, I feel this is the musical hug we all need. Waking up to the news in Las Vegas broke my heart. You all know news is my day job, and working the story and already knowing how to cover stories like this hurt my heart because this is becoming so common. I shouldn't know how to cover a story like this. The shooting in Vegas struck a chord more than before because I was just there. Vegas has always been a place I felt safe. Also, to take into account that this occurred at a music festival, as a concert and festival attendee this hurt even more. The shooting killed about 58 people and injured 515. Kids were there, on their parents' shoulders. These people just wanted to see their favorite artists perform at the Route 91 Harvest festival. They were all there for one thing. music. This all occurred while country star Jason Aldean performed. Since then celebrities expressed their sorrow and pain following this ordeal. Prayers for all those affected, but we all know now that prayers aren't enough. We say this too often now. I was going to refrain from posting a throwback this week due to the tragedy in Las Vegas. However, due to the recent passing of Tom Petty, I felt this song was very appropriate for the mood of today and what we all need as human beings during this time.